I’m not Irish. Not even a little bit. The closest I am to being Irish is a lifetime of living in Chicago. So, if this isn’t the way your great-great-great grandmother made corned beef, read the the first sentence of this post again. That aside, I do enjoy when St. Patrick’s Day rolls around and corned beef briskets go on sale cheaper than ground beef. Over the years, I’ve worked on different recipes to put those briskets to use in different ways. This is the best I’ve come up with so far…in fact, Mrs. Eats For All Ages said this is her favorite of all the dishes on this blog. Eats For All Ages Junior was a fan as well. Open up your brisked and lay it, whole and intact, fat side down into your slow cooker. If it came with a seasoning packet, sprinkle that over the meat as well as a little black pepper. 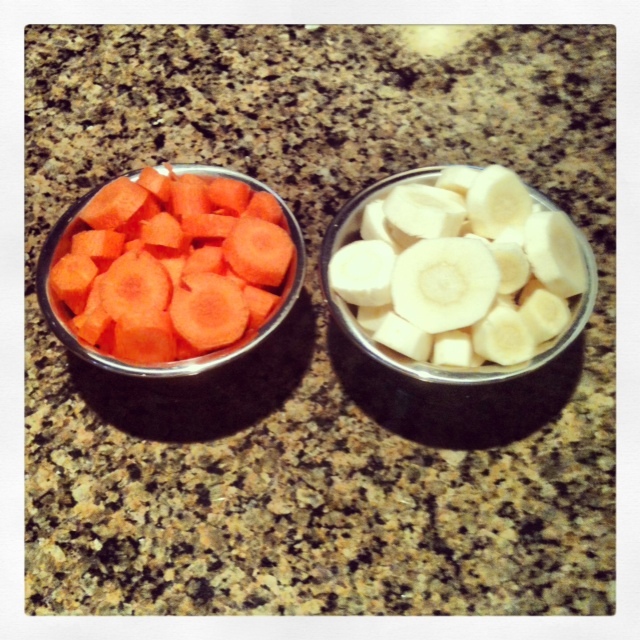 Next, peel the parsnips and carrots, and cut them into thick coins. 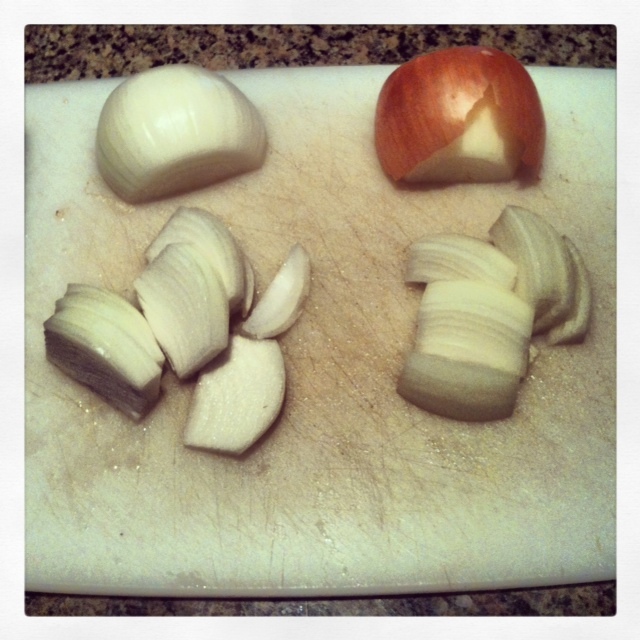 Slice the onions into half inch wide strips. 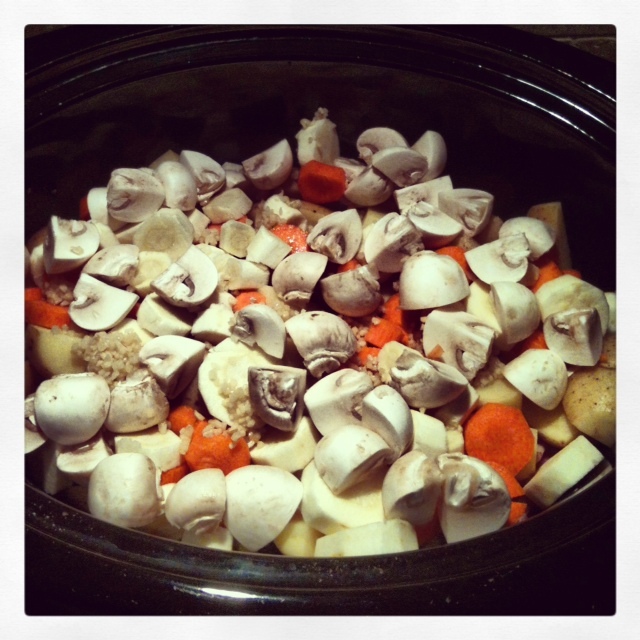 Quarter the potatoes and the mushrooms and add them to the slow cooker. Also mince your garlic cloves (or measure it out if you’re using minced garlic from a jar), and add this with the onions, parsnips and carrots to the mix. Also add the barley at this point. 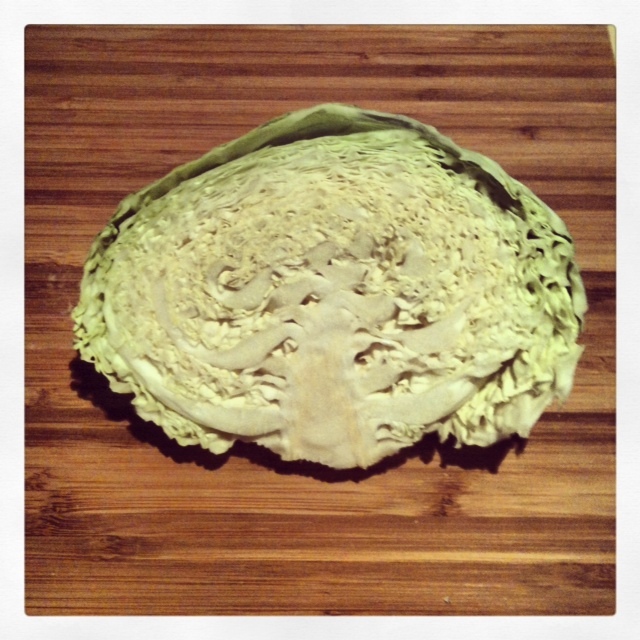 Next, take your cabbage head and slice it in half. 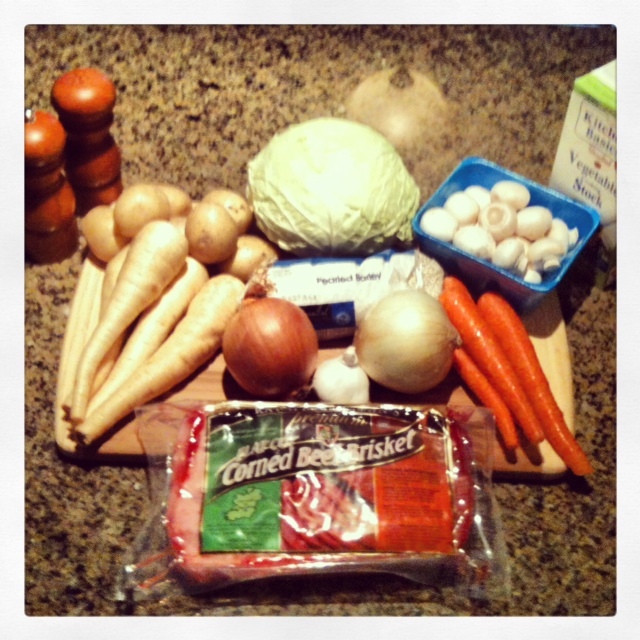 I chose to use savoy cabbage since it has the best flavor, in my opinion. You’ll need to make a triangular cut to remove the thick stem portion, leaving the more tender leafy portions to work with. 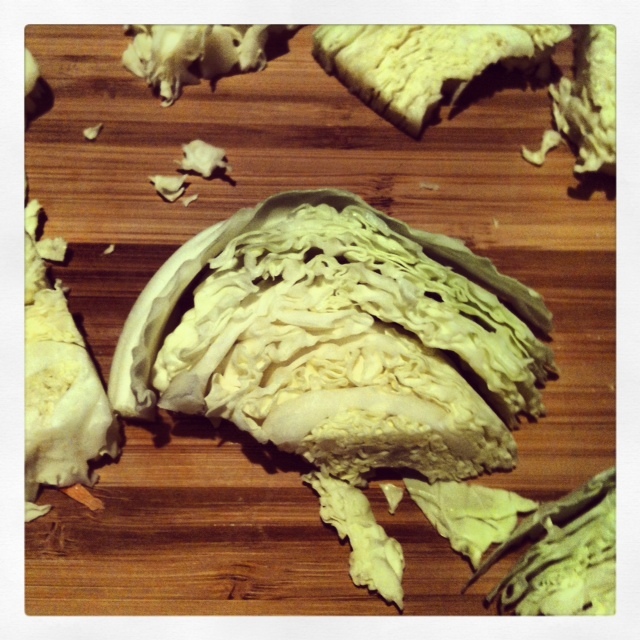 Once you remove the tough stem portion, cut the cabbage into chunks. The cabbage will start to fall apart some, but there is no need to break it up much as it will further separate throughout the cooking process. Add the cabbage to the slow cooker, and cover everything with the vegetable stock. Add a little salt and pepper if desired and, as per usual here at Eats For All Ages, a few shakes of worchestershire sauce. As mentioned before, this barely fit into the slow cooker, as evidenced above. Not to worry, the steam that accumulates while the cooker runs will cook everything just fine, but I did stir the whole thing once during the process. Using a few less potatoes or cutting out the mushrooms would also save a little space, but I cannot speak to how this would affect the overall outcome. 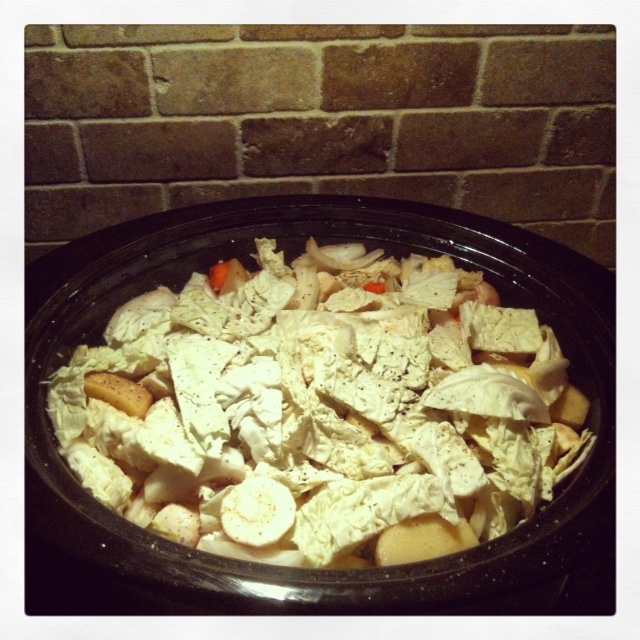 Once everything is in the cooker, give it a gentle stir if you want, and set the slow cooker on low for 8 hours. 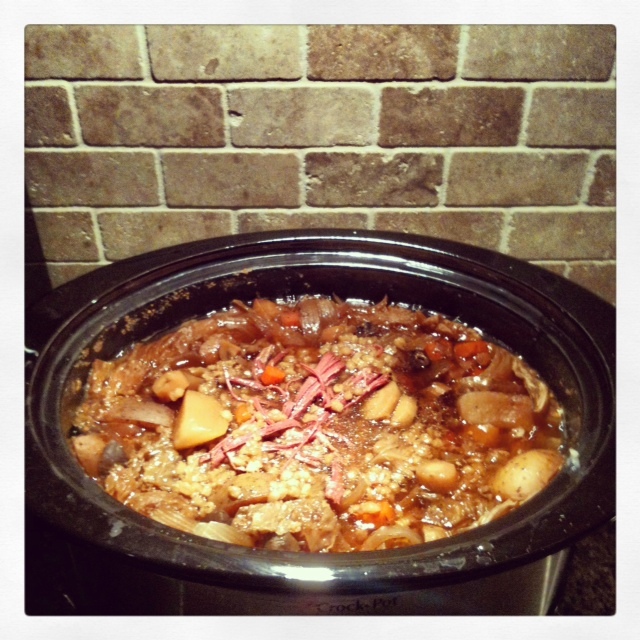 When the eight long hours are up, you will be rewarded with fork-tender corned beef and tasty veggies. All that’s left to do is break up the meat and dish it out. 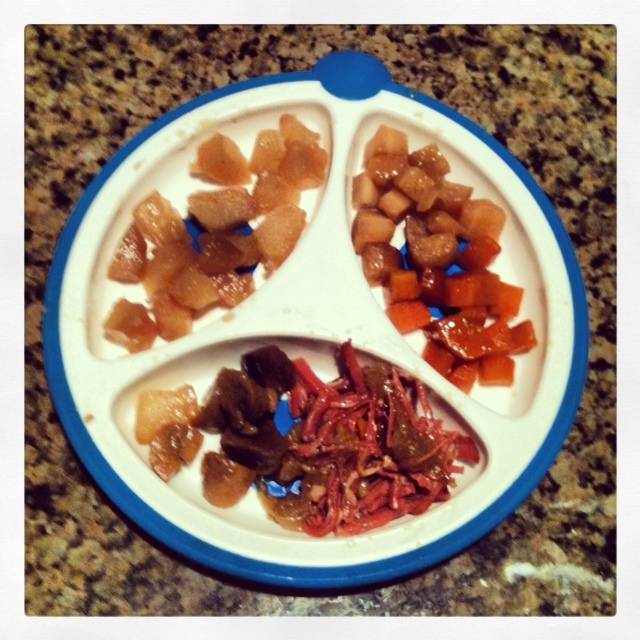 This is dish is easy for little eaters to eat, even with their hands. It breaks up nicely and is easy to break down for a toddler plate. Older kids will easily be able to dig into an adult bowl and break up the meat and veggies with just a fork or spoon as well. 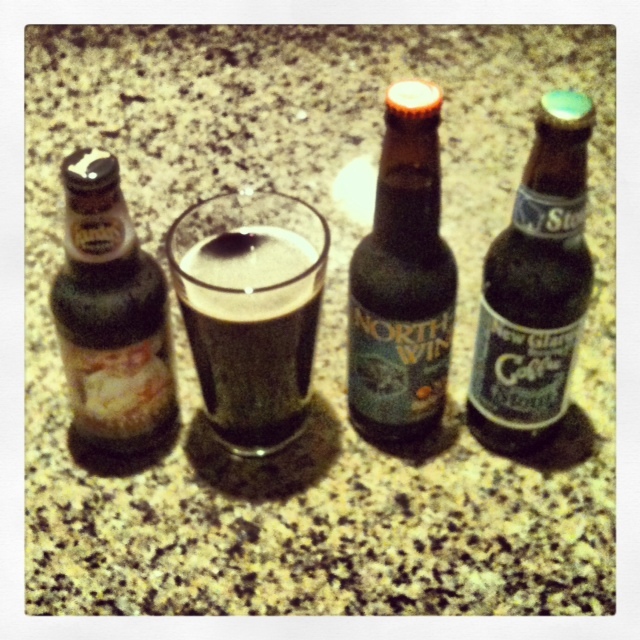 Above are my three favorite stouts. Since it’s already been established that I’m not Irish, neither are my stouts of choice. They are all midwestern microbrews, and they’re excellent. 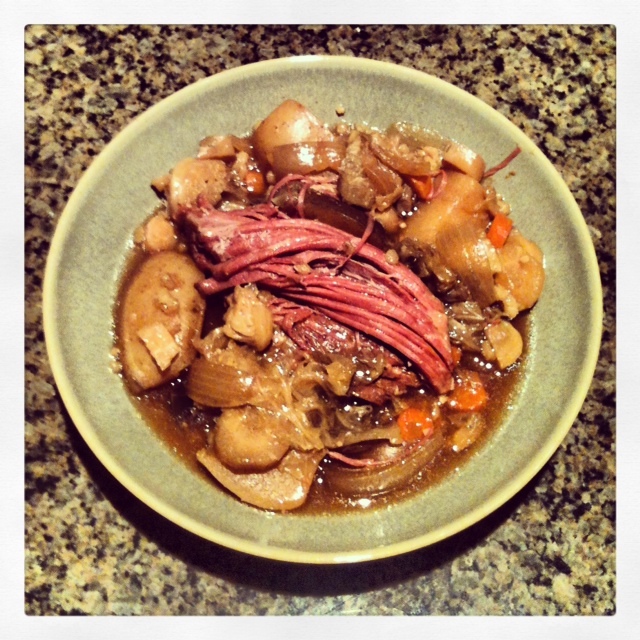 Whether you have a pint of beer, a glass of milk or a warm glass of tap water, I hope you enjoy this corned beef recipe as much as we did…for Saint Paddy’s Day or just because – Enjoy!